We specialize in creating unique, personal spaces for residential projects, large & small. We believe that successful interior design must not only be visually pleasing but technically well executed. Blend Interior Design focuses on transforming spaces into functional and appealing rooms that make sense to the people occupying them. We specialize in transition design for clients who need their homes to fit their new lifestyles after remarriage, empty nest, divorce, etc. Our single purpose is to help clients create a home that fits their lifestyle and is personal to them. No matter the reason why clients seek Rebecca West Interiors' services, we love making their house feel more like their home. Stefanie Brooks Interior Design offers a broad range of planning, selection and coordination services for both residential and commercial projects. The goal of our services is to develop a functional, safe and aesthetically pleasing space. Your advocate for great architecture and interior design, large or small. We are a talented and nimble firm focused on custom residential, retail, commercial and multifamily projects. Kirk Riley Design is a boutique firm located in Seattle specializing in residential & commercial interior design. Our passion for vintage homes translates into updated kitchens, baths & living spaces. Award-winning design experts in new construction & remodeling, we capture each client’s individual needs & lifestyle within budget. Kitchens, baths & whole-home renovations, beautiful furnishings. 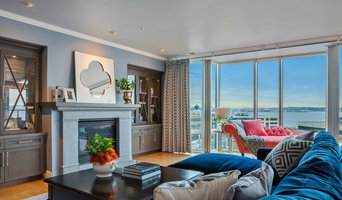 Seattle's Full Service, Client Focused Design Firm Best of Houzz! RDID is a collaborative team of designers and builders who use their technical skills and talent to reimagine how people live, work, and play. Published on Elle Decor. Kirk Riley Design is a boutique interior design studio specializing in vintage residential renovation. 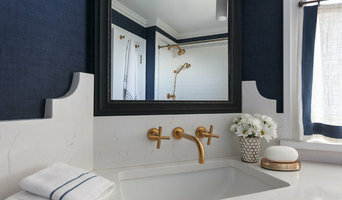 Heather Kirk is the principal with nearly 20 years of experience remodeling homes, kitchens and baths in and around Seattle, Shoreline, Kirkland and other Puget Sound neighborhoods. Our passion for vintage homes translates into fresh updated kitchens and bathrooms and comforting living spaces. Not sure how to start your new project? Please call our office to discuss how we can work together. Imagine a home that makes you smile. It's not a job, it's an opportunity to create something beautiful. We deliver timeless, authentic, practical solutions to your needs while honoring your budget! Interiors based on the lifestyle & aesthetic of our clients, & the architectural style of their homes. By design or décoration, the results are beautiful and functional interiors to live in! William & Wayne is an award-winning interior design showroom specializing in kitchen and bath. Our philosophy is simple, we don't change your style, we make your style look great (and on budget). Heidi Caillier's design philosophy is that homes should be comfortable and livable while still being beautiful and interesting. Kimberlee Marie Interior Design is a full service interior design company that turns its client's dreams for their home into a reality. I love helping my clients solve functional and organizational dilemmas in their space as well as transform their home into a beautifully unified and cohesive space that they love and that reflects them, their personality and their style. Tammara Stroud Design is a full service interior design firm. We strive to create environments that inspire the eye and the soul from new construction and renovation projects to home furnishings. Seattle's Award Winning Interior Designer - Best of Houzz 2014-2017! With years of expertise in the interior design industry, Tath Hossfeld Designs offers full design concepts for residences from the ground up. Raina Henderson is approachable, collaborative, and responsive. Clients value her ability to listen to their needs and surpass expectations all the while creating beautiful, functional and practical interiors. Raina designs collaboratively with you, so that your home reflects you. At home, work, or play your goals can be creatively stewarded by the finest artisans & craftsman who make your personal surroundings function properly, look beautiful, and feel just like you. We help people renovate their homes so they can get back to life. 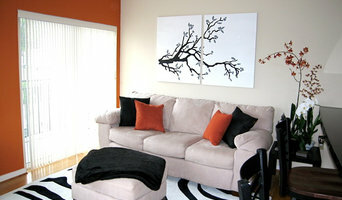 I'm a decorator in the San Francisco Bay Area. I love to create layered rooms with a mix of old and new both budget and luxury. To me, interior design is about expression. Check out my portfolio! The Albee Interior Design team is dedicated to providing artistic design, personalized service, and exceptional workmanship. Owner Wendy Albee has a background in fine art, and brings a keen eye and sensitivity to the smallest detail of every project. She loves to pass along her passion for color and design. Services include space-planning; room designs including kitchens and bathrooms; furniture and flooring selection; cabinetry design and ordering; architectural design services; custom window treatments; color selection; and more. Jennifer approaches each project with the goal of creating personalized design solutions that reflect her client’s unique vision for their space. Andy Beers has spent the last ten years working on residential and boutique commercial interiors. During that time, he has been fortunate to collaborate with an incredible variety of clients and design professionals across the country. Comfortable working on both traditional and contemporary projects, he aims to imbue his work with clarity and warmth. He began his career at Jessica Helgerson Interior Design, where he contributed to award-winning projects and honed his technical and creative skill-sets. Equally at home creating construction documents or specifying finishes and furnishings, he is able to make meaningful contributions to each stage of a project. Passionate about people and sustainability, Andy works toward creating spaces that are classic, long lasting, and just right for their inhabitants. In each project he endeavors to find the delight that occurs when both building and client are well served. Andy holds a Bachelor of Music from the New England Conservatory, as well as a Master of Interior Architecture from the University of Oregon. He lives in Seattle's Phinney Ridge neighborhood with his wife and two young sons. Deering Design Studio, Inc. is an award winning Interior Design firm which enjoys a reputation for providing clients with diverse and personalized design solutions. Have you always wanted a living space that better reflects your personality and your values? A space that enables you to lead a deeper, more connected life? 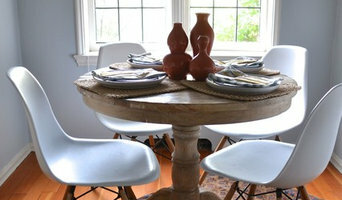 I’m Amy May, and my Soulful Design process creates uplifting environments that nurture the mind, body and spirit. But first, I get to know each client to help make interior design accessible and fun. Because whether this is your first experience with a designer or you’ve worked with a professional before, I want you to enjoy the journey as well as the results.